thanks for response, in my case impedance that pos input will see is 10kOhm, since neg input will be in the feedback loop, will I need to place 10kohm in feeback loop for bias current compensation, (how the compensation really work, does it create opposite voltage to the one on the pos input and therefore it compensates ?) do i need 100ohm res in series on the pos input ? 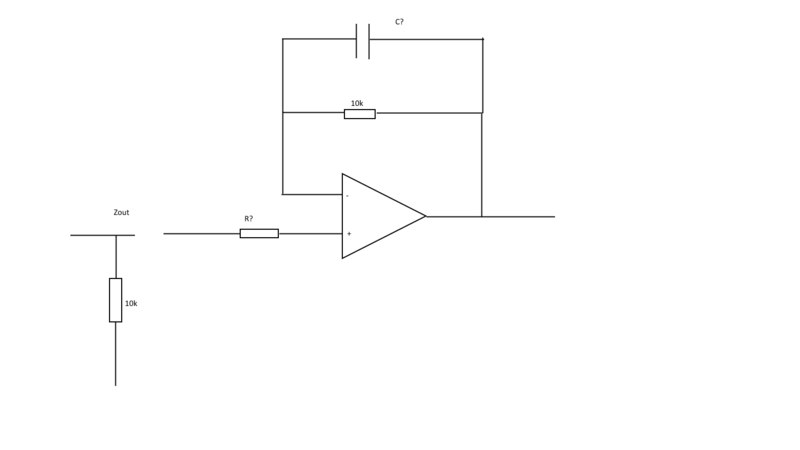 sometimes they use capacitor in the feedback loop, would i also need it ? 4 nV/rt-Hz, so your source impedance should be low, and thus the feedback resistor will be low. 100 ohm feedback w/ no cap across it. What is your highest signal frequency? Do you need to go down to DC? ADA4522-1 looks very promising, ibias=150p, vos=5uV, p-p noise =117n, and dual supply from -/+22V, which i willbe using +/-15 as my max signal is 12V. I think I may go with this one. One final thing on the feedback resistor, could you elaborate more on it please? is there way of calculating fb resistor once source impedance is known ?